Portledge has enjoyed his racing in January and can end the month by following up a recent course and distance success in the sunracing.co.uk Handicap at Newcastle. The assessor has given the James Bethell-trained five-year-old only a 2lb rise for a length call over Luis Vaz De Torres after he travelled well throughout the seven-furlong trip. It looked like Portledge had come on for finishing third to Made To Honour on Tyneside six days earlier, when he was sent off the 9-4 favourite. He can carry on the good work of his last run and take this prize. 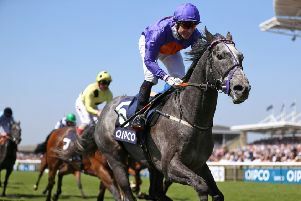 Another Angel can register a fifth triumph over this Gosforth Park five furlongs by getting the better of his rivals in the Betway Sprint Handicap. The five-year-old, owned and trained by Anthony Brittain, held Amazing Gracing by three-quarters of a length two weeks ago to continue his fine record in the North East. A 3lb rise many not be enough to stop him adding to his tally. Willow Brook has shown promise in both her starts for Julie Camacho and can make it third time lucky in the Ladbrokes Handicap. Bought for 3,500 guineas out of George Scott’s yard at Tattersalls July Mixed Sales, Willow Brook had her chance compromised at the start last time when she was hampered and eventually beaten four lengths in sixth place. Willow Brook had gone down by only a head on her debut for Camacho and is worth another chance. Sandridge Lad can make up for an unlucky run last time by getting his head in front in the Ladbrokes Home Of The Odds Boost Handicap at Southwell. 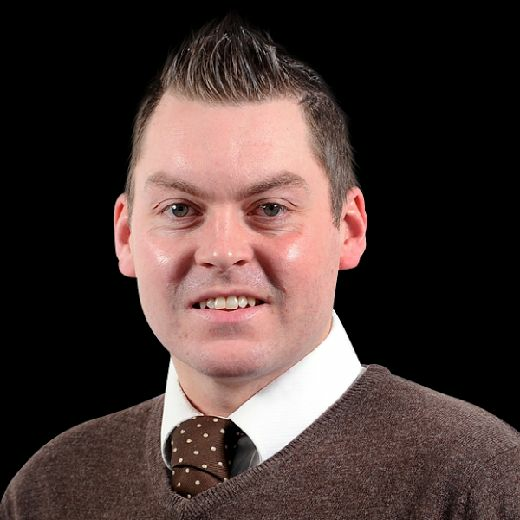 Things went wrong from the start for John Ryan’s three-year-old sprinter at Wolverhampton on his most recent outing. He reared up as the gates opened, losing valuable ground, and then hit the rail at about halfway through the five-furlong heat. Yet he was beaten only three-quarters of a length in fourth place behind Yolo Again. A winner at this Nottinghamshire circuit in November, Sandridge Lad can put the record straight. Tobeeornottobee tastes this surface for the first time in the Ladbrokes Handicap as he bids to back-up victory at Newcastle six weeks ago. 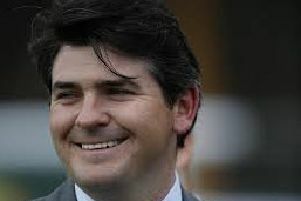 Declan Carroll’s charge was put up 11lb for slamming Griggy by four and a half lengths and he had run well in his two previous races there and at Chelmsford. He is worth a go on the Fibresand. Arabic Culture can strike on his debut for trainer Grant Tuer in the Follow Sun Racing On Twitter Handicap. The five-year-old was bought out of Jamie Osborne’s stable for 8,200 guineas after winning a seller at Wolverhampton earlier this month and he could prove to be a bargain. Forcing tactics have proved the key to Brandon Castle winning his first two races over jumps after several seasons on the Flat. Fakenham should play to his strengths and Neil King’s charge can complete the hat-trick in the Pudding Norton Handicap Hurdle. Danse Idol skated to victory on her debut over the smaller obstacles at Wincanton in early December and went down fighting when second at Haydock later that month. Paul Nicholls’ six-year-old can regain winning ways in the Frome Scaffolding EBF Mares’ ‘National Hunt’ Novices’ Hurdle back at the Somerset track. FAKENHAM: 1.45 A Little Chaos, 2.15 Cottonvale, 2.50 Monsieur Bagot, 3.20 Chez Hans, 3.50 Brandon Castle, 4.20 Jonangold. NEWCASTLE: 4.05 Trautmann, 4.40 Bobby Joe Leg, 5.15 Willow Brook (treble), 5.50 Another Angel, 6.25 PORTLEDGE (NAP), 7.00 Eve Harrington, 7.30 Royal Rattle, 8.00 Roaring Rory. SOUTHWELL: 1.35 Warrior’s Valley, 2.05 Filament Of Gold, 2.40 Tobeeornottobee, 3.10 Sandridge Lad (next best), 3.40 Arabic Culture, 4.10 Crosse Fire. WINCANTON: 1.25 Winston C, 1.55 Spring Wolf, 2.25 Danse Idol, 3.00 Champagne Champ, 3.30 King’s Odyssey, 4.00 Pacha Du Polder, 4.30 Hawk’s Well.